Images by claire wainwright | Sponsored Feature. 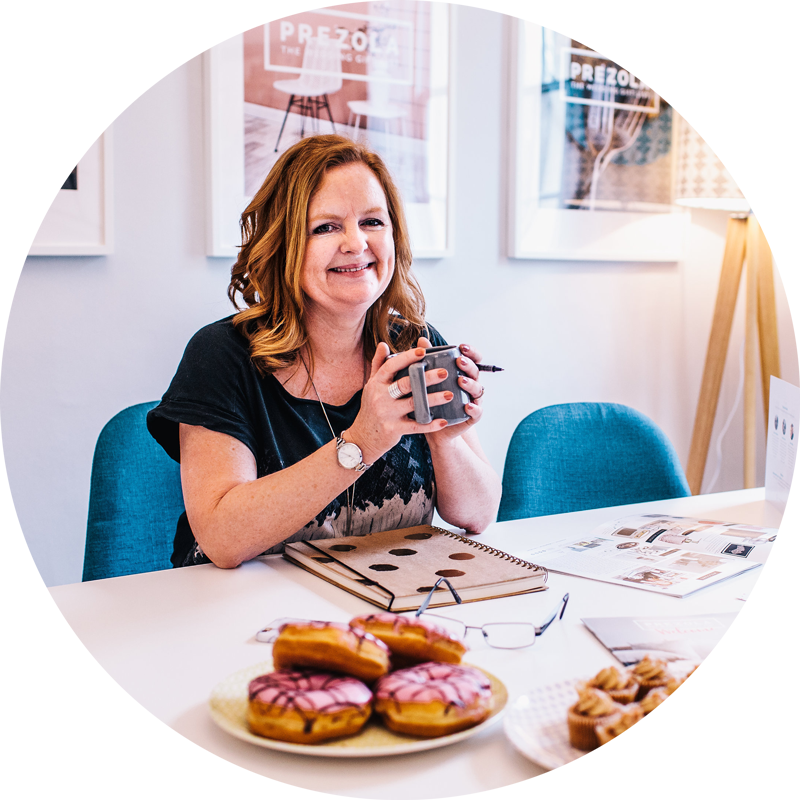 Well hello… Ali from Prezola here! Now depending on your stage of wedding planning, you might have already explored our partner page packed with lovely Gift List tips and inspiration. But if you’re yet to discover us and are new to these pages, then you should probably start with this feature right here which explains why we’re the perfect Gift List choice for style-savvy couples. I wanted to swing by today with a really lovely piece from one of our very own brides. 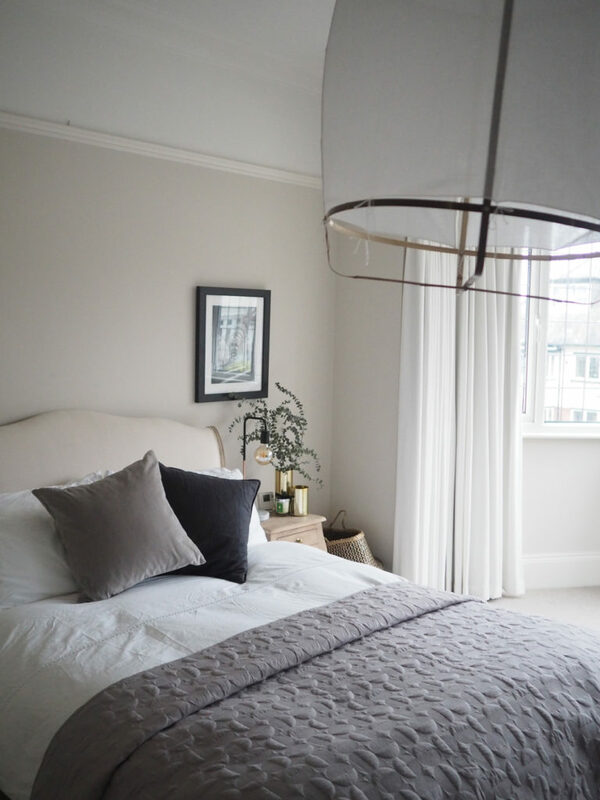 Claire, the blogger behind The Green Eyed Girl, used Prezola for her wedding gift list and took the opportunity to turn her wedding presents into a very stylish newlywed abode for her and her husband. 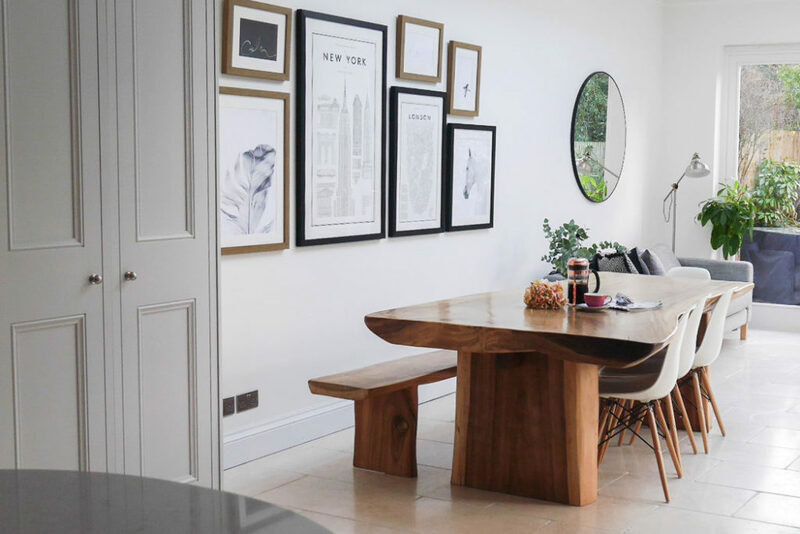 Claire talks us through her styling tips for the home and how Prezola’s collection of 50,000 gifts from 500 top brands helped create her home. 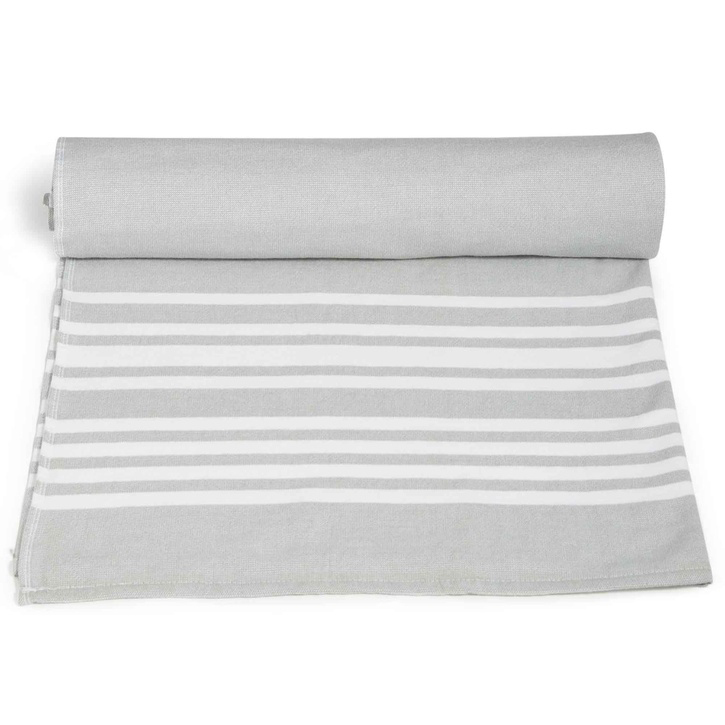 You can also shop Claire’s own Prezola picks if you’re inspired! 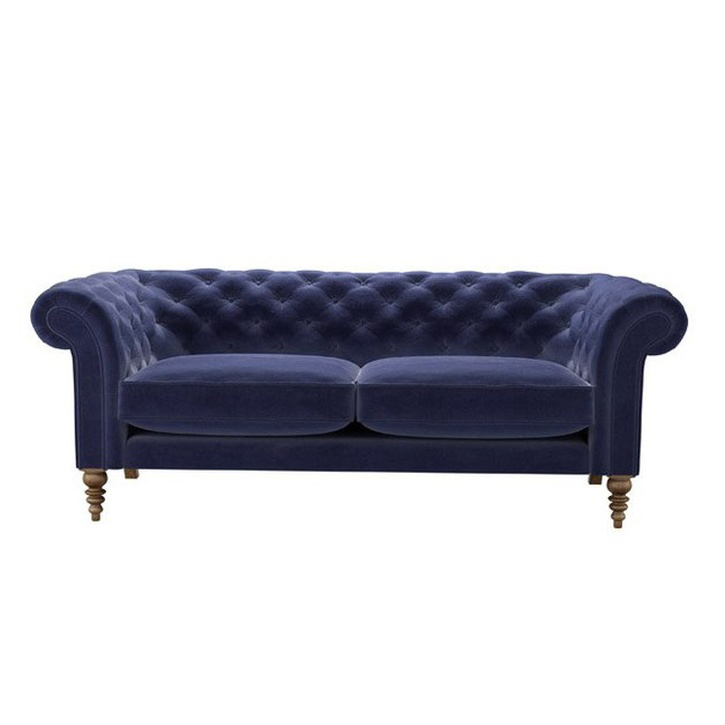 I didn’t have a clear vision for this room straight away but I really loved the Oscar chesterfield sofa from Sofa.com. 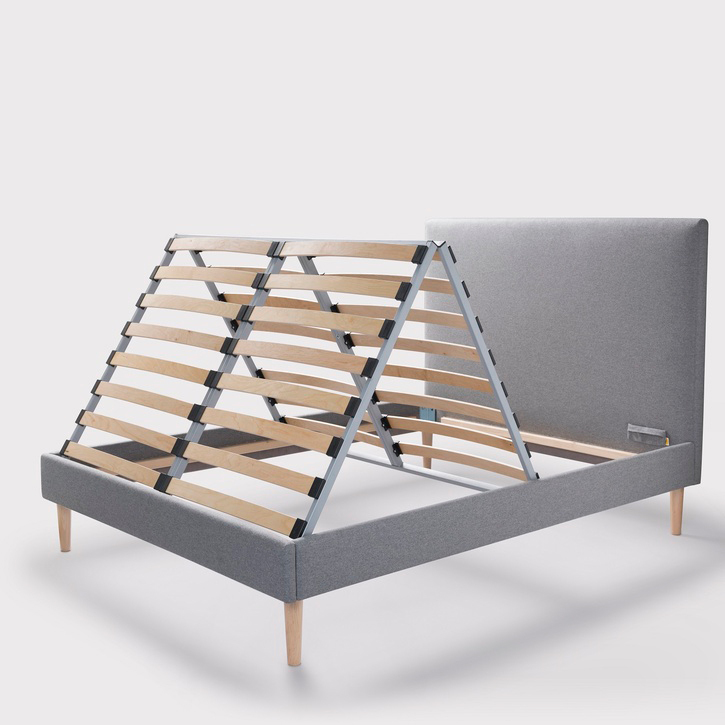 We had tested what felt like hundreds of sofas and theirs were the most comfortable by far. 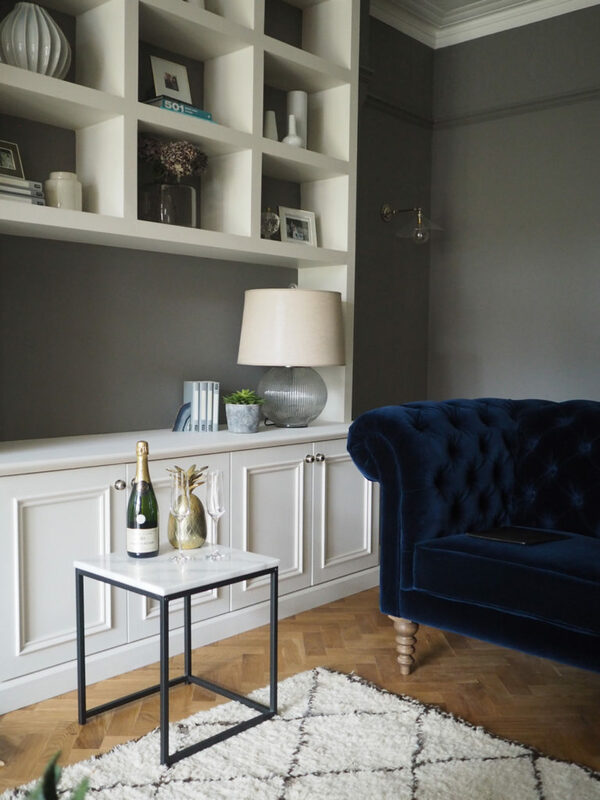 I really loved the way the blue velvet put a modern spin on the classic style – but it took a while for me to convince my husband to go for it! 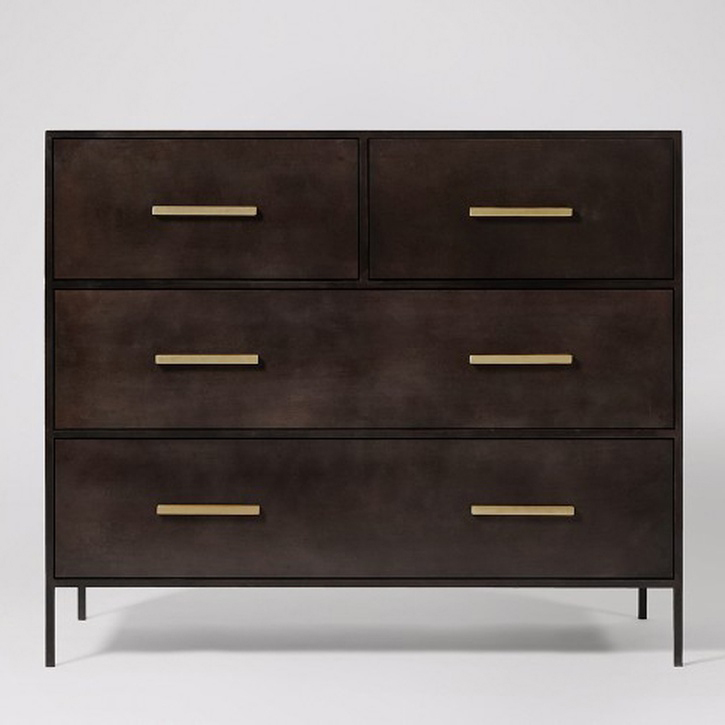 We have had no regrets since and it is still one of our most favourite furniture pieces in the house. The dark walls came later – in fact we have painted this room three times now. First white but that just didn’t work as the room doesn’t get much light and the white accentuated that. Next we went for a light/mid grey and it still wasn’t right and recently I bit the bullet and went dark… I LOVE it! We added the built in units and shelving to the alcoves to add interest and storage space. 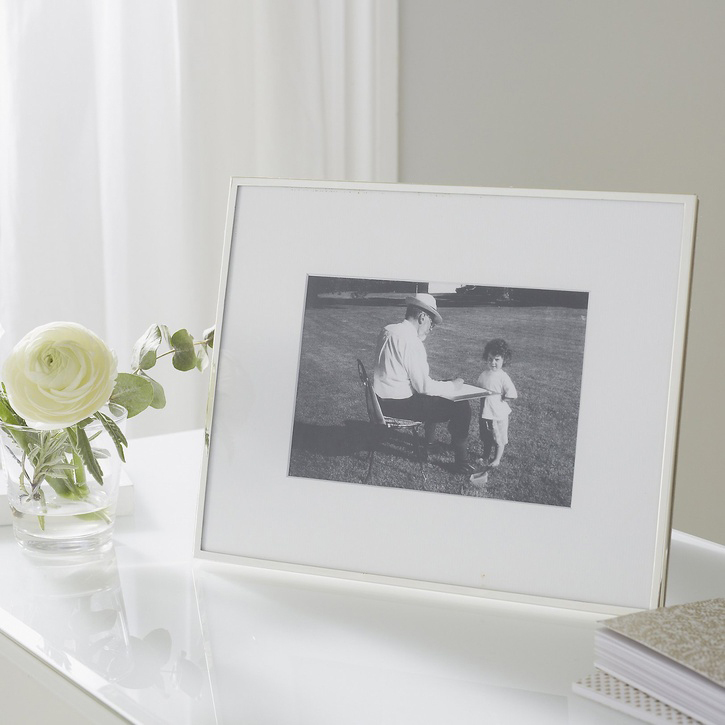 I have styled them up using a huge mix and match range of The White Company photo frames that we had on our wedding gift list. I really love them and have included pictures of the wedding in them. 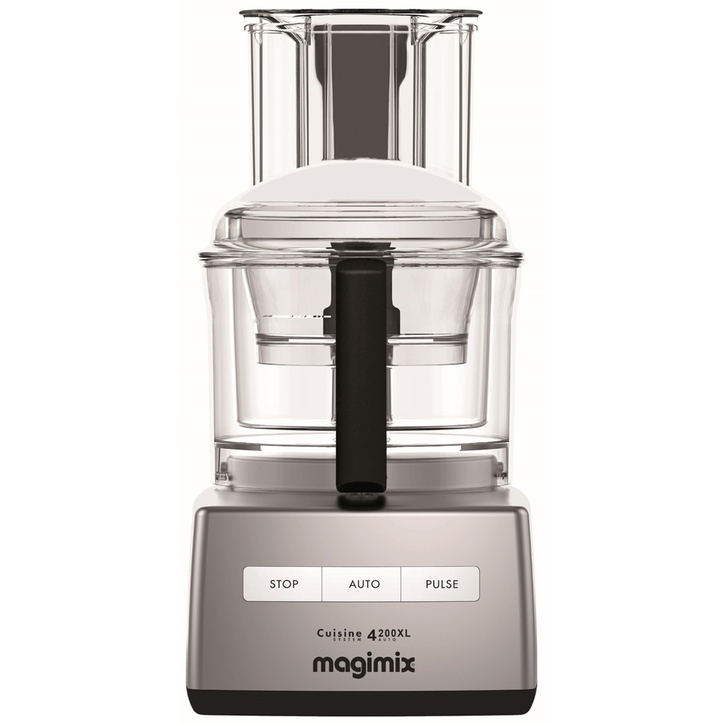 We took the opportunity of upgrading a lot of our kitchen ware through our wedding gift list so our kitchen is pretty much full of wedding gifts! 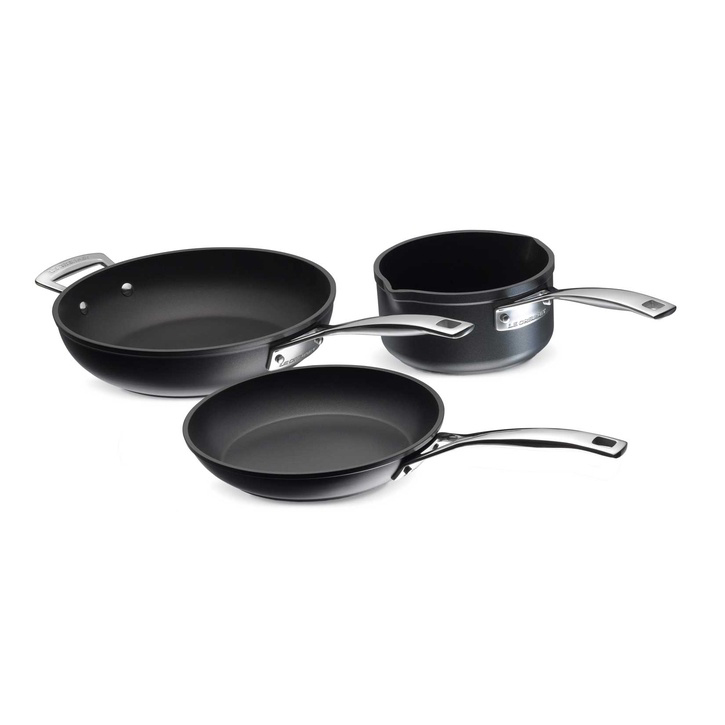 My favourites have to be the Le Creuset pans, copper cafetiere which we use every weekend without fail and the Magimix. 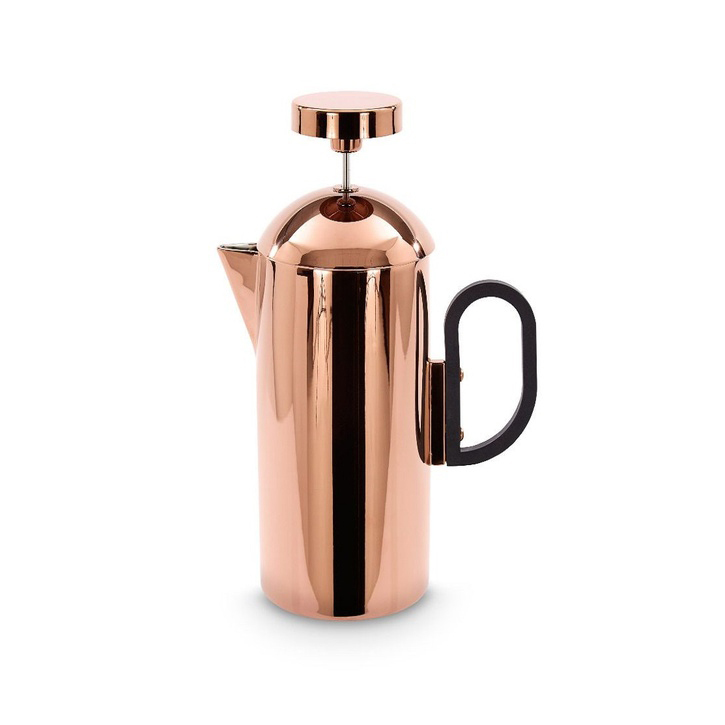 They may be useful kitchen items but I love them as accessories just as much as they look so good! For furniture, our stand out piece is the dining table which we had shipped from Bali. It is a forever piece that already has plenty of stories to tell! 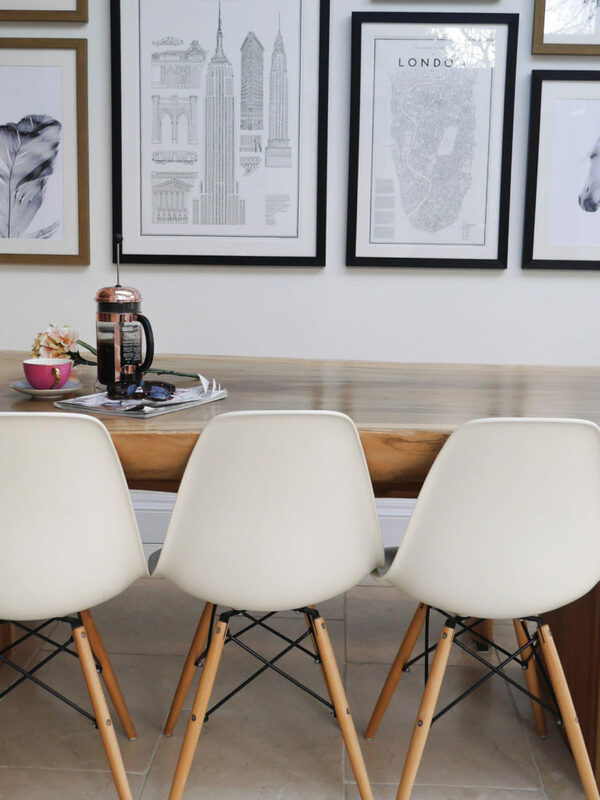 We get asked a lot about the chairs and barstools – both were from Cult Furniture and add bit of a modern edge to the more classic style of the kitchen. I knew I wanted this to be a luxurious space and the roll top bath and chandelier perfectly accentuated this. 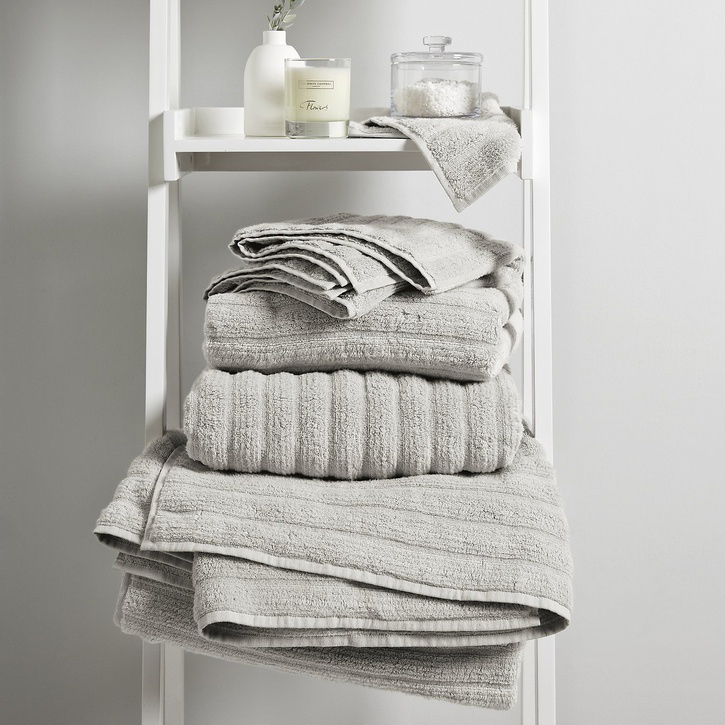 Again we took the opportunity to upgrade our everyday essentials with our wedding gift list and were delighted to received a full set of the hydrocotton towels in white and grey. They are SO soft and make every morning feel like a spa day. 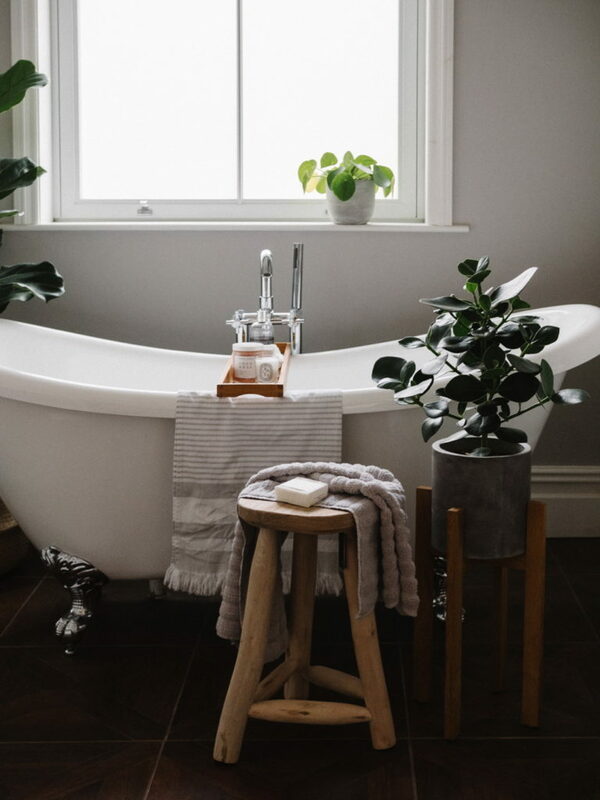 I also love the hammam towel that I use over the edge of the bath to add a little bit of a more rustic look to the room. 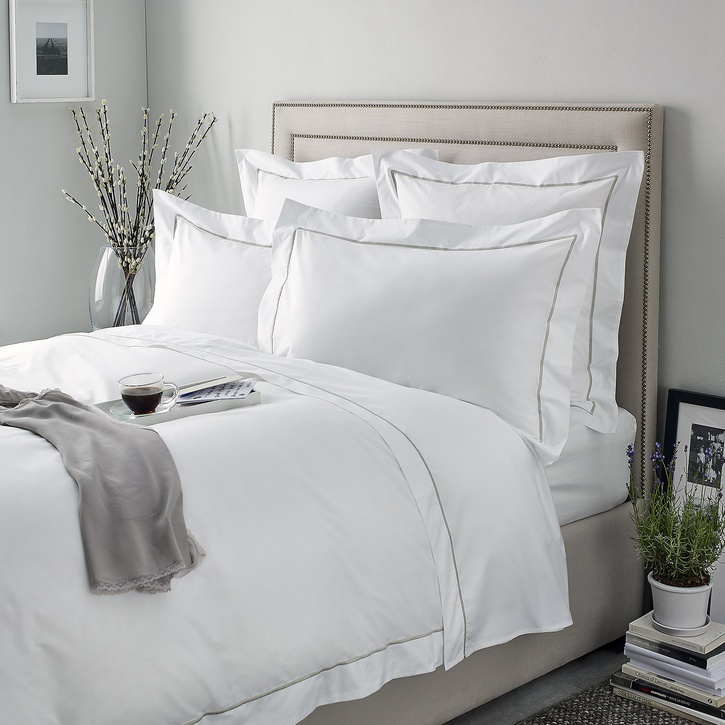 To me, a bedroom should be a calming space that isn’t too busy so I always pick soft neutral colours and tactile fabrics. 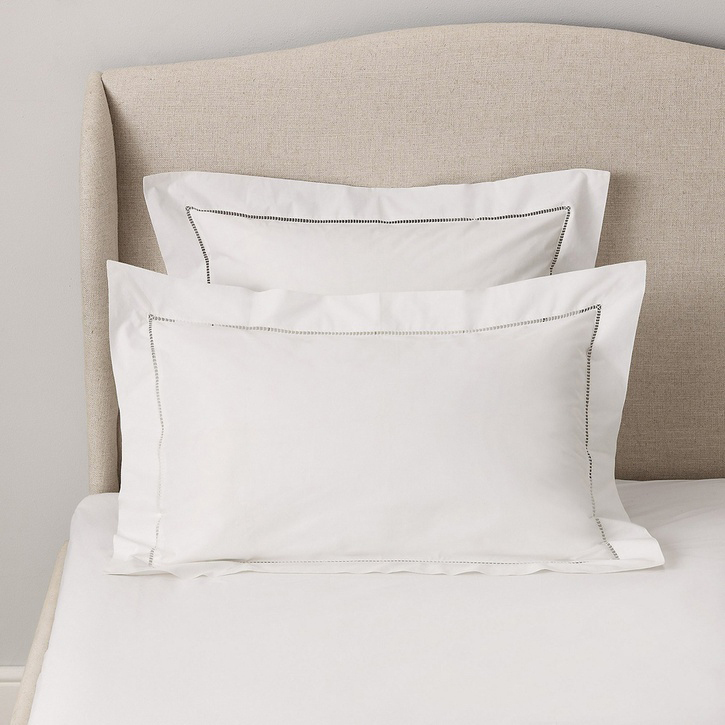 I love the design and detail of The White Company bed linen – The Savoy and Santorini are my favourites, and I am always mixing up the cushions and throws – just now we have a Eve Sleep throw over the end of the bed. Our original porch was horrible and we always knew we wanted to completely redo it. 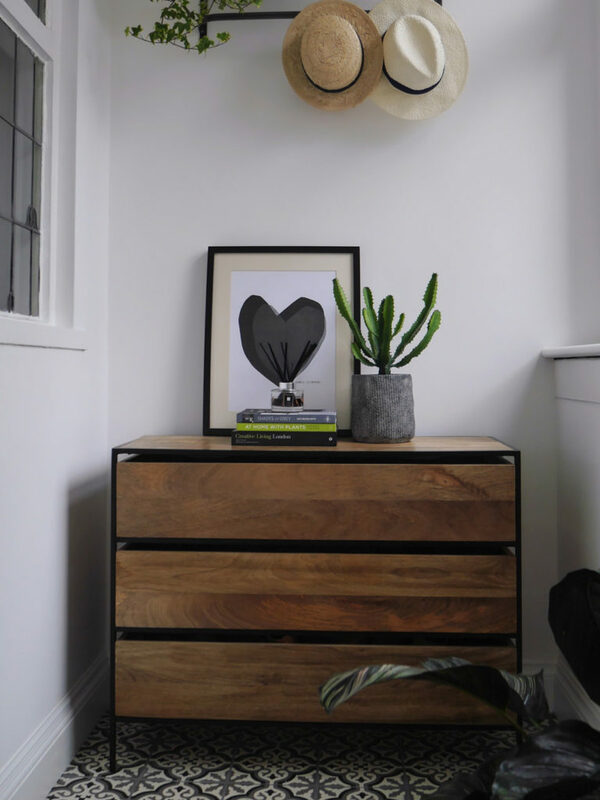 When we did, we went for patterned floor tiles, fresh white walls and a gorgeous wooden and steel chest of drawers to store shoes in. It is the Roland from Swoon Editions and the storage is so handy in keeping the hallway tidy! 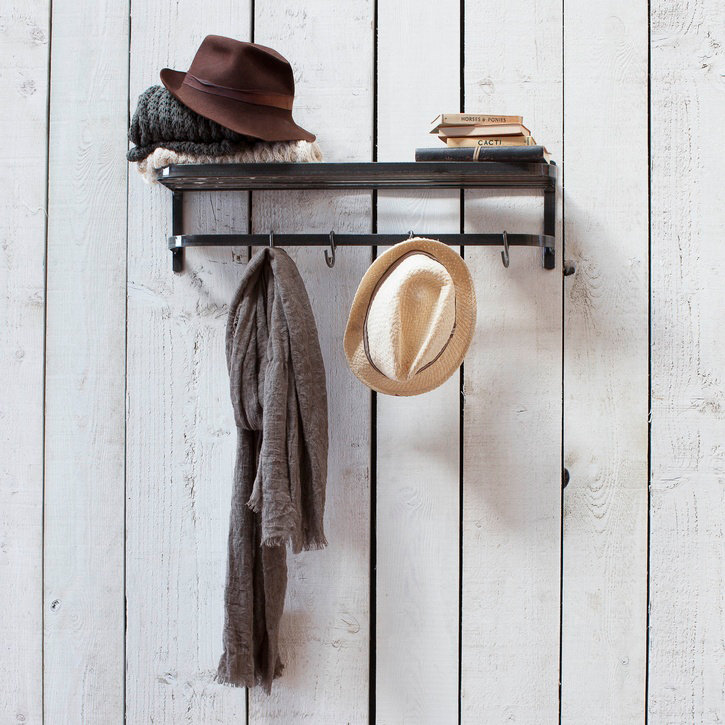 I also added the Farringdon metal luggage rack from Garden Trading and styled it up with straw hats. I buy one on pretty much every summer holiday and keep them as souvenirs so they all have a story! 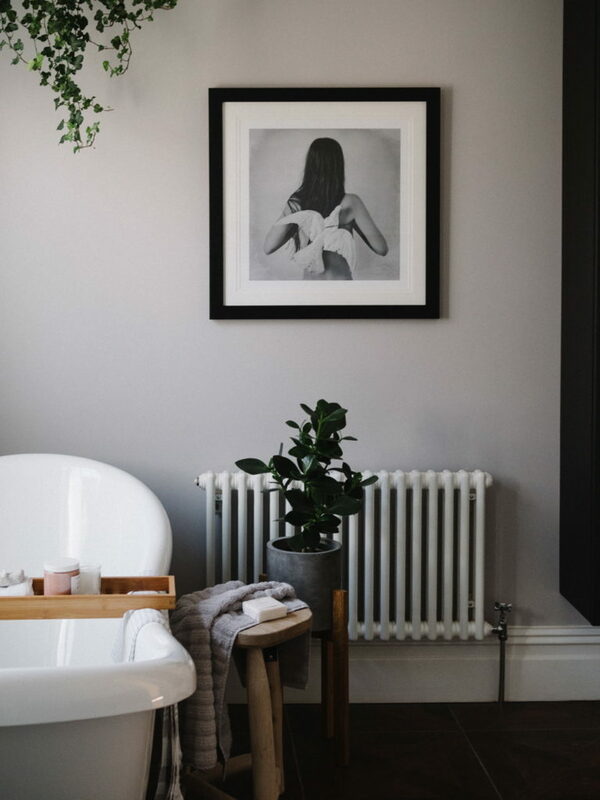 You can create your own stylish newlywed home with Prezola, the UK’s favourite wedding gift list and double winner of Best Gift List 2018. Register now for free and get a free upgrade to unlock all of Prezola’s features including a commission-free honeymoon fund, charity donations, cash funds and gifts all on one list. 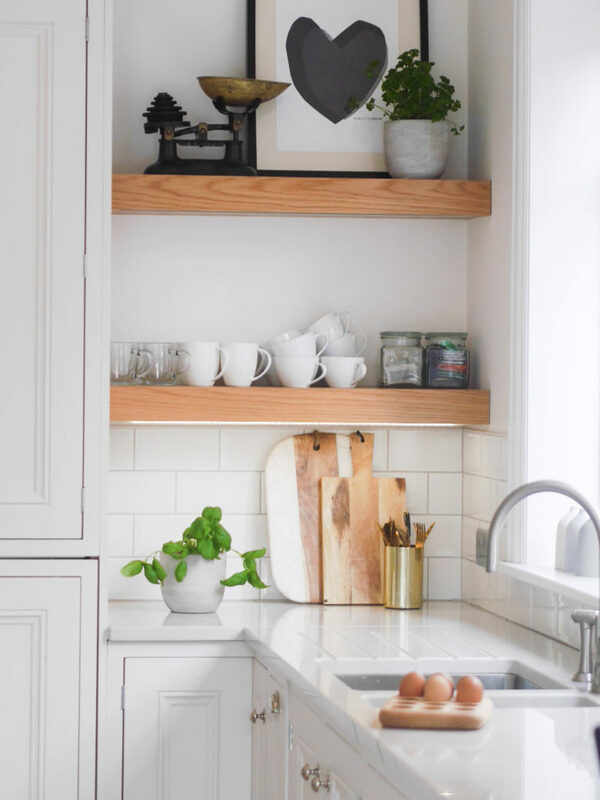 Create your list today at prezola.com.